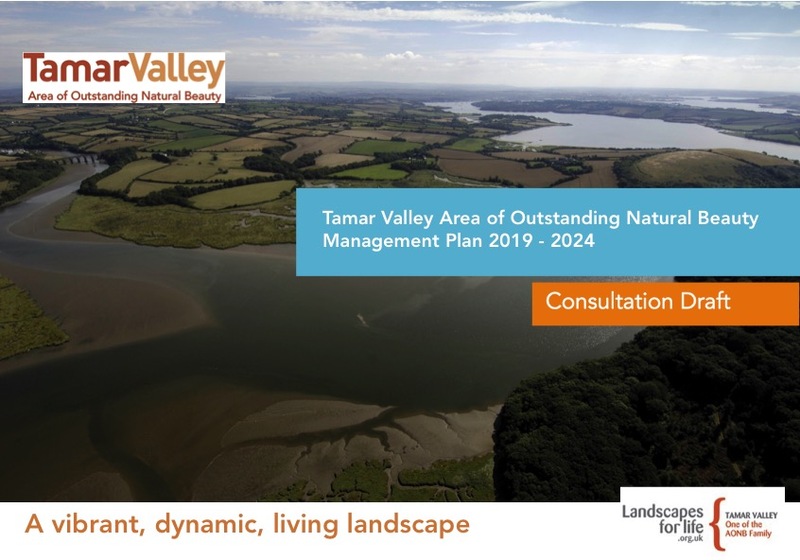 The Tamar Valley Area of Outstanding Natural Beauty (AONB) team invites you to share your thoughts & ideas, as they move towards the next 5 years in conserving & enhancing this special landscape. Meet the team at one of the following venues, or if you’d rather make your views known from the comfort of your own home, please visit www.tamarvalley.org.uk from mid-September until 16th November 2018. Other venues may be added throughout the consultation period, so please keep an eye on our website www.tamarvalley.org.uk and Facebook page (TVAONB). Hard copies of the Plan will also be available to view (towards the end of September) from libraries and Parish Council offices throughout the Tamar Valley, as well as the Tamar Valley Centre at Drakewalls. Chair of the Tamar Valley AONB Partnership, Cllr Neil Burden, explains; “There is a requirement that local authorities review and produce a management plan for each AONB in their area every five years. In order that we deliver this statutory responsibility and as a basis to receive the Defra grant we, the Tamar Valley AONB Partnership, have over the last few weeks produced on behalf of the local authorities a draft plan and now share this plan for public comment. Cllr Burden continues; “We have always been very grateful for the support we receive and once again ask that as many people as possible have their say. Do come along to the events listed or visit our website to add your comments”. Corinna Woodall, Tamar Valley AONB Manager, says: “It is vital that we set out the priorities for the Tamar Valley AONB now, especially with a once in a lifetime government review of protected landscapes and an opportunity for new approaches post-Brexit. We really welcome the opportunity to hear from those who live and work in our landscape”. Let the AONB team know what you think about the Draft Plan. Completed consultation forms will be put into a draw for a chance to win a £75 gift voucher to spend on Tamar Valley produce through the Tamar Valley Food Hubs (www.tamarvalleyfoodhubs.org.uk), or a Cream Tea for Two at National Trust’s Cotehele.